The Pupil Premium was introduced in April 2011 and is funding specifically targeted at raising achievement and improving outcomes for our more disadvantaged students. The level of funding is based on the numbers of students that a school has on roll (in years 7-11) who were eligible for Free School Meals, who were Looked After Children or were from families with parents in the Armed Forces. The most recent formula for calculating Pupil Premium Grant is based on students who have been eligible for Free School Meals at any point in the previous 6 years (the ‘Ever 6’ calculation). The funding is ring fenced to ensure that it is spent on the targeted group of pupils. Year 7 Catch-Up premium is further additional funding for pupils who have left primary school without achieving the expected level (4) in either reading or Mathematics. This funding is to enable schools to provide Catch-Up and intervention strategies to accelerate progress and ensure that these pupils reach their expected levels for their age group in English and Maths. 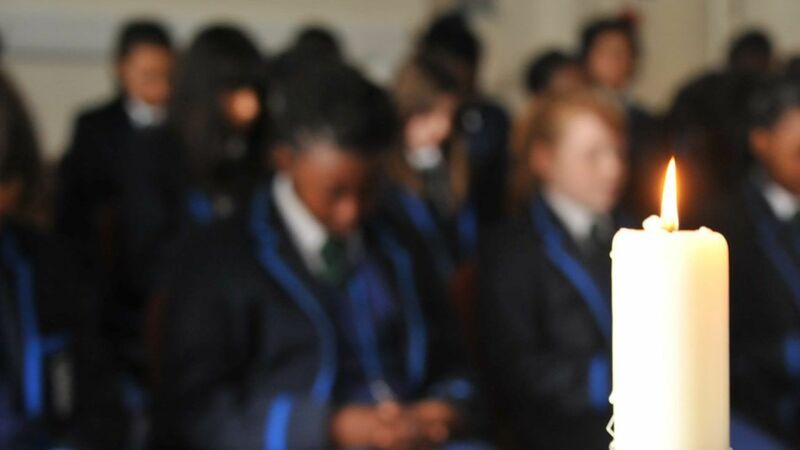 The Ursuline Academy Ilford recognises the value and uniqueness of every student, and we understand that some students need more support to ensure that the community is inclusive and equal. We ensure that all staff employed are highly trained and effective, and tailor effective CPD for all staff. At Ursuline we are aware that the key to success for all students is ensuring that all day-to-day teaching meets the needs of each learner, rather than simply relying on interventions to compensate for teaching that is less than good. All teaching staff at the Ursuline Academy are aware of who is eligible for the PPG, and this informs their planning. The school is committed to making sure that support and intervention (including adjustments where necessary) are made in a timely fashion. This is achieved through regular half termly monitoring, and the use of regular robust assessments which allow teacher to give students effective and timely feedback. Support specifically related to enhancing access to curriculum / exam specification and achievement. e.g. 1:1 or small group support, revision guides, field trips, DT / Food Tech materials. Activities / resources linked to boosting success in relation to assessments but not considered essential to courses. e.g. alternative revision guides, revision conferences / lectures, trips. Opportunities / resources / materials designed to boost school engagement and general pastoral development in which the majority of a group or year level is participating. e.g. retreats, trips. Literacy & Numeracy support – basic ‘core’ skills. e.g. Software, HLTA/ Teacher support sessions. Opportunities such as instrumental lessons to further develop participation in extra-curricular activities and help students thrive at Ursuline Academy Ilford. Despite having a guideline for expenditure, scenarios will be considered on a case-by-case basis and decisions taken will focus on what is perceived to be the most appropriate action to support academic and pastoral development. There were 6 students eligible for the Catch-Up Premium in Reading. 3 of these students achieved the expected standard at the end of Year 7 in English. There were 3 students eligible for the Catch- Up Premium in Mathematics. 1 of these students achieved the expected standard at the end of Year 7 in Mathematics. Rates of progress for pupil premium, low, middle and higher attainers is strong. Pupil premium students with SEN are also making good progress. 26% of students in Year 11 were eligible for Pupil Premium. The school was in receipt of a pupil premium award for 2014, in recognition by the DfE as one of the highest achieving schools in the country for attainment and value-added progress of disadvantaged pupils since 2011 as well as performance at GCSE and KS2-4 value-added. The strategies to support pupils in receipt of the Pupil Premium grant are chosen for their effectiveness based on cost and outcomes, many of the strategies used have been successful in previous years, while others have been adopted because of other schools’ successes, empirical evidence or research undertaken by staff. Small class sizes (average class of 24) Enhanced Maths and English staffing to increase flexibility of deployment of staff to enable targeted interventions, small group and personalised provision School has year group roll of 120 – 4 forms of entry. Teaching groups in English Maths and Science are split into 5 to ensure smaller teaching groups and flexibility of movement. Flexible strategy to ensure the creation of two more sets in Maths and English, therefore allowing struggling students more targeted intervention Reduced class sizes enabled improved differentiation, targeted teaching and flexible groupings in response to pupil needs. % A-C and 3 or more levels of progress, above national average in both Maths and English. Provision of two staffed ICT Clubs every day To encourage all students to engage in extracurricular activities All students have access to ICT. SEN Clubs (HLTA staff costs) To provide support for students at lunchtime in a supervised environment to complete homework Increase in number of students completing homework. Training for staff focused on raising attainment / closing the gap To ensure staff are fully trained and aware of differentiation strategies. Increase in attainment for PP students. Laptop loans To support CLA students who do not have access to computers at home Students were able to access computers for coursework and revision purposes. Independent learning and access to internet for most vulnerable pupils improved and addressed. Year 11 Graduation Prom Year 11 Graduation Prom to celebrate success and recognise individual achievements Pupil achievement celebrated and aspirations enhanced. Revision materials, on-line support etc. (including My Maths and Lexia reading scheme) Encourage independent study to enhance examination performance Pupils enabled and encouraged to revise independently at home and consolidate in-class learning. Year 7 retreats provided by School chaplain To develop the Year 7 community and support with transition to secondary school. All students were able to attend the retreat, which had a positive impact on the relationships in the year group and supported many with their secondary school transition. Students eligible for the Year 7 catch-up funding benefit from many of the strategies outlined above. We have also developed more targeted strategies for this group.